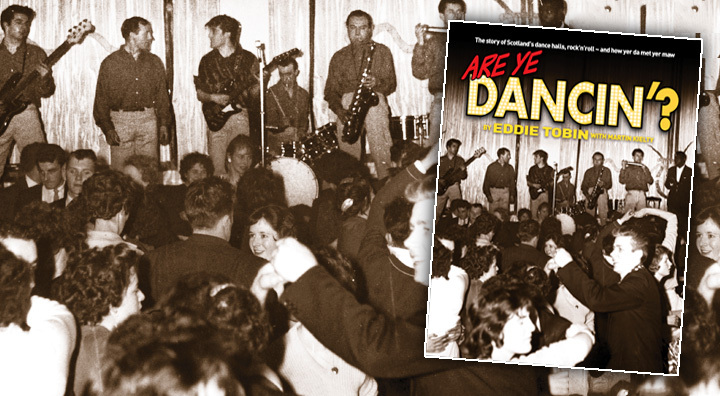 The story of Scotland’s dance halls, rock’n'roll… and how yer da met yer maw. The first-ever inside story of how Scotland’s ballrooms and dance halls remained a central part of Scottish culture throughout the 20th Century. Told by the people who made it happen: the dancers, agents, bands and staff. 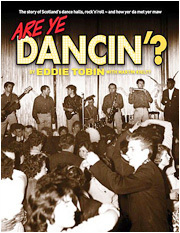 From Thurso to Portpatrick, Oban to Aberdeen, everybody always went up the dancing’. If you were lucky the answer to the eternal question was, “Are ye askin’?” If you weren’t, it was, “Naw, it’s just the way I’m standin’…” or worse. Packed with over 100 illustrations, the book takes a light-hearted look at Scotland’s favourite pastime throughout the years – from the start of the public dance halls to the recent explosion of ballroom popularity. Dancers and workers from all over the country share their hilarious and touching memories. 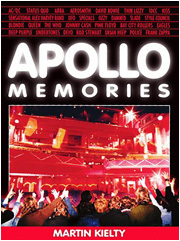 The book covers dozens of the 600 halls which have hosted the nation’s big nights out – many of them tragically long gone. Are Ye Dancin’? 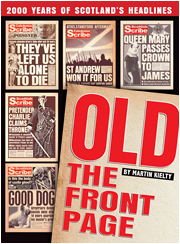 travels all over Scotland across over 60 years to share some of the top stories from a golden era of entertainment. Just some of the unforgettable venues covered: Barrowland Ballroom, Glasgow; Beach Ballroom, Aberdeen; Bentley’s, Kirkcaldy; Bobby Jones’, Ayr; Boys Brigade Hall, Wick; Cavendish, Edinburgh; Co-op Hall, Rosyth; Flicks, Brechin; Gamp Club, Edinburgh; JM Ballroom, Dundee; Kinema Ballroom, Dunfermline; Lamlash Halls, Arran; Lennoxbank Hotel (Lido), Balloch; Locarno, Glasgow; Marine Ballroom, Arbroath; Mintlaw Station, Peterhead; Olympia Ballroom, East Kilbride; Palais, Burntisland; Palais, Dennistoun; Queen’s Hall, Dunoon; Railway Hall, Inverurie; Stewart’s School of Dancing, Edinburgh; Town Hall, Cumnock; Town Hall, Dingwall; Town Hall, Paisley; Town Hall, Portpatrick; Two Red Shoes, Elgin; Wallyford Miners’ Club. 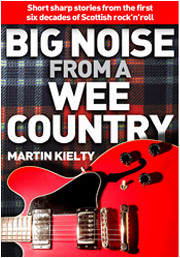 Read stories about the touring acts who visited Scotland including Count Basie, the Beatles, Johnny Cash, Chubby Checker, Lonnie Donegan, Bill Haley, Mick Mulligan, Elvis Presley, Cliff Richard, Tommy Sampson and Tommy Steele. 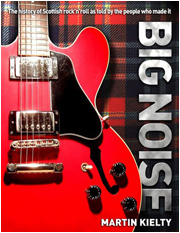 Enjoy anecdotes about Scottish stars Billy Connolly, Alex Harvey, the Clyde Valley Stompers, the Blues Council, the Bo Weavles, the Melotones, Nazareth (and before that the Shadettes), the Poets, Archie Semple and many more. Discover some of the people who made the magic happen including Albert Bonici, who brought the Beatles to Scotland; Bill Fehilly, who kickstarted the rock’n’roll era in Thurso; Cherry Grant and Cecil Hunter, stars of the Kinema in Dunfermline; Frank Lynch, who owned the legendary Glasgow Apollo; ‘Wee Willie’ Merilees, the policeman who watched over the Teddy Boy era in Edinburgh; Colin Robertson, who was part of the Glasgow revolution; and Ronnie Simpson, who masterminded a national music agency. Are Ye Dancin’? 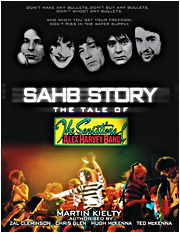 was published by Waverley Books on October 14, 2010. 192 pages, colour throughout with over 120 illustrations.